and Create for Christmas begins! 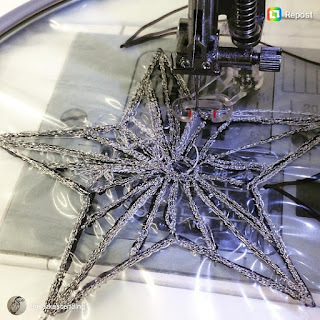 This year we kicked off with stars and snowflakes using water solvable film and free machine embroidery with the textile artist Catherine Kingzett. 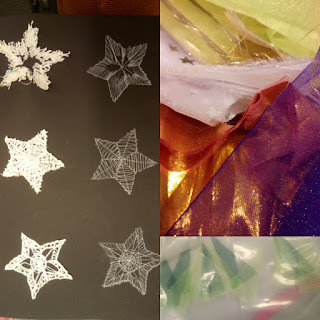 Gorgeous twinkle and glitter festooned the press room. A variety of sewing machines were bought in and off everyone went. and new levels of dexterity were developed. Everyone went home with new decorations and a new skill to explore. The next Create for Christmas workshop with places available is with Viv (aka Hens Teeth) who has agreed to design a workshop especially for the yard:ARTspace. 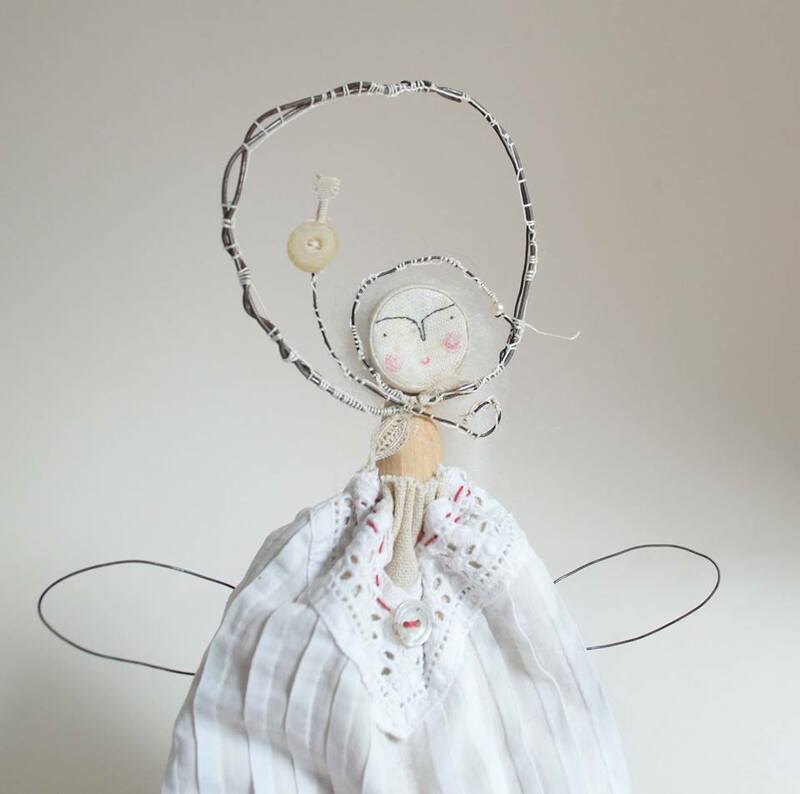 An alternative Christmas Angel, imbued with a personality of her own... made from recycling wire, wooden peg and vintage fabrics and haberdashery. £75 to include materials. Contact me for details and booking.